The Allied Bank is serving the nation under its CSR policy by extending helping hand to under-privileged communities in Education, Health, Recreation and other sectors especially in backward areas. Continuing with such efforts ABL on 9th May 2018 donated a cheque of Rupees One Million to ‘Rasst Welfare Society’. The society is managing the Raast School & Vocational Centre situated in Qayumabad, Karachi. Both institute are promoting children literacy & self-independency to underprivileged members of the society through Academic & Technical Education. They are charging very nominal fees of Rs.250 from their students. 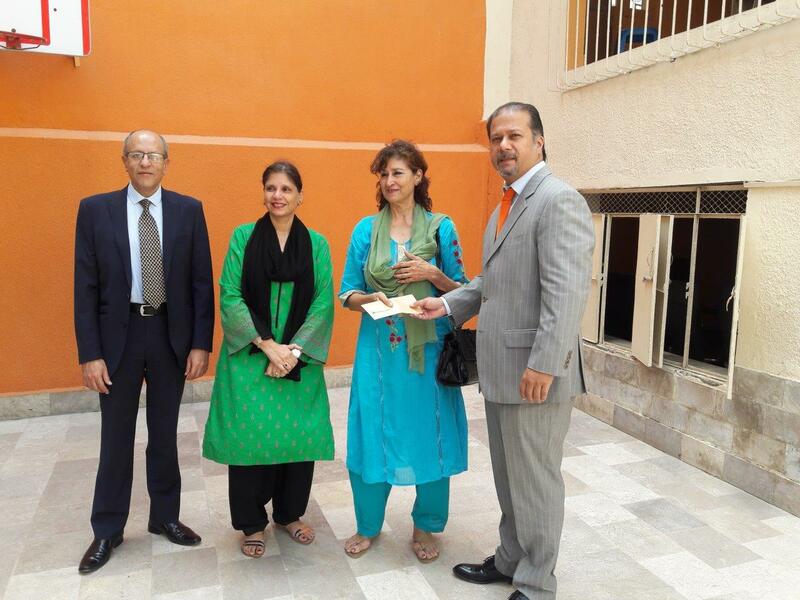 Mr. Adnan Kamal GH Business CRBG South-I accompanied by Mr. Tabrayz Agha Group Chief REIG presented the cheque to Ms. Yasmeen Ajmal, Chairperson of Society. Speaking on the occasion Mr. Adnan Kamal highlighted the ABL’s initiatives under CSR policy. Ms. Yasmeen Ajmal thanked the ABL for helping their society in their endeavor to impart quality education and vocational training to needy people.